We’ve been working toward this trip for months now. Countless emails, phone calls, spread sheets, and folders have gone in to setting up this trip. It’s the Wedding Planning trip to Tahoe and it’s a big one! We are finalizing decisions on the ceremony location, the reception dinner location and menu, the rehearsal dinner location and menu, the photographer, DJ and potentially making decisions on the florist and stylists. We are also staying in the hotel we’ve chosen for our wedding party so we can decide if they will fit our needs. We have so many things to consider and so many decisions to be made in a three-day time frame next week. So much time and planning has gone in to this, and so much rides on this week’s trip, it feels like it should be stressful. First off, it’s a trip to Tahoe. I don’t care what you’re going there for, it’s really hard to feel stressed when you go to Tahoe. It’s one of the most beautiful places on the planet and right now it’s covered in fresh powder. Even though we are not going to have time for skiing or snowshoeing, I’m still looking forward to being in the mountains. Another thing that makes this trip exciting is that my parents and my soon-to-be-inlaws get to finally meet in person. I’m very excited about the opportunity to bring our families together, even if for a short trip. I really do love that we’ll all get a chance to enjoy Tahoe together and having them both there to help us with some of these important decisions is priceless. The wedding isn’t until October, but time seems to be flying by and the Big Day will be here before we know it. I know I can’t wait. 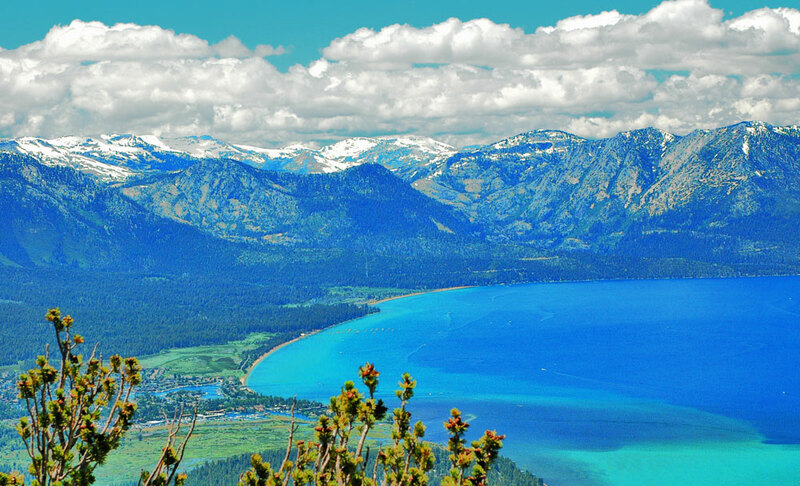 Even though it has made things more difficult to plan, I think Tahoe is the perfect place to have our wedding. 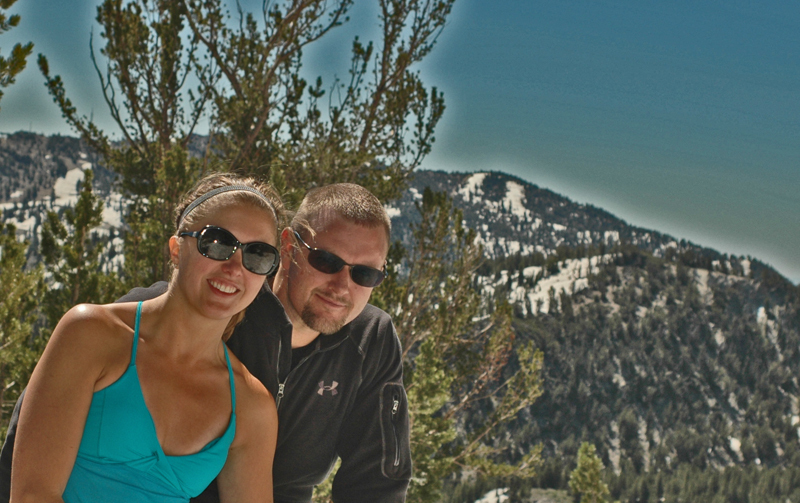 We began our romance in Tahoe, I proposed last year in Tahoe and, in October, we will be married in Tahoe. Now we get to start thinking about where to have the Honeymoon! Well, it appears to be that time of year again… Winter heavily lumbers in, the frantic holidays quickly approach and our minds instinctually seem to review and quantify the accomplishments of the previous year. Most of us take special time each year to focus on the happy successes, the wonderful gifts and the hard won accomplishments that make up the highlight reel of our lives over the last 12 months. It’s a time to give special attention to the things that are so easily taken for granted throughout our hectic, time-crunched day-to-day existence. Each Winter season, if we are doing something right, the list of things we are truly Thankful for gets longer, stronger and more meaningful. This year especially, has been a year filled with things to be thankful for. Even though the year has not been easy and I still struggle in many ways to improve many aspects of my life, I find myself feeling happier and more accomplished than ever. As I mentioned in a previous post, I’ve struggled with some health issues over the past several years. I went from a very healthy, active athletic man to lethargic, sedentary and overweight suffering from pain and mobility issues. Over the last couple of years I’ve managed to get my health problems identified and under enough control for me to take my life back. I am now back to being healthy and active and feel like I’ve got control of my life again. This has allowed me to get back to enjoying a life in the outdoors as much as possible. It’s allowed me to recover a part of myself I felt I had lost and would potentially never find again. It’s incredibly satisfying to feel like myself again. For many years, growing up, my family and I had enjoyed and active lifestyle. As a family, we traveled and spent time outdoors being active and finding adventure. I took this enjoyment of the outdoors into my adult life after I left California and spent a lot of time exploring the wilderness here in Arizona. Losing this part of my life was devastating and now that I have it back I am amazingly thankful for being back in to an outdoor lifestyle (I’m sure REI is thankful for this as well!). This blog is a testament to my renewed excitement at being a part of the outdoor community again. In rebuilding my sense of self and my attachment to the outdoors I’ve stumbled across an amazing local and on-line community of outdoors enthusiasts and wilderness athletics that share my passion. Through this blog I’ve been able to share myself with this community and it has served to reinforce and strengthen my relationship with, and passion for, the outdoors. I’m thankful to ALL of you for visiting, reading, sharing and collaborating on this part of my life. As thankful as I am about all my new friends this year, I can not be more thankful for old friends who have stood by me through the years. I’m thankful for the friends and family that have helped as I struggle through maintaining a business in a weak economy, for the friends that have been there for me as I bounce in and out of town and for the friends who have given me a reason to smile and laugh when it seems too hard to do so on my own. For the rounds of drinks, the trips to and from the airport, Sundays watching football, making sure the dogs get fed when I’m gone, Tuesday Steak Night, the encouragement to get back in shape, for making sure I don’t always hike alone, for help fixing the house, help fixing the truck and a thousand other things that make you guys great…..thank you. Most of all, I am thankful to have the most amazing, beautiful, fun, energetic and exciting woman in my life. Though our time together these days is limited, we make the most of it. And this summer she gave me yet another wonderful thing to be thankful for when I asked her to marry me and she said ‘YES’. So this year, I am very thankful for an amazing relationship with an incredible woman who, by this time next year, will be my beautiful wife. Hardships and challenges aside, this has been a great year and is hopefully just a hint of the happiness to come. I wish EVERYONE a happy, healthy and successful Holiday Season.